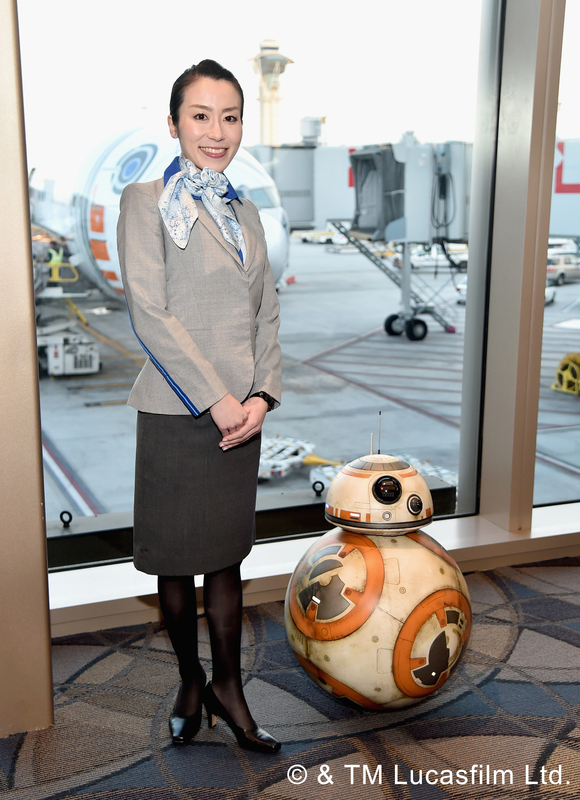 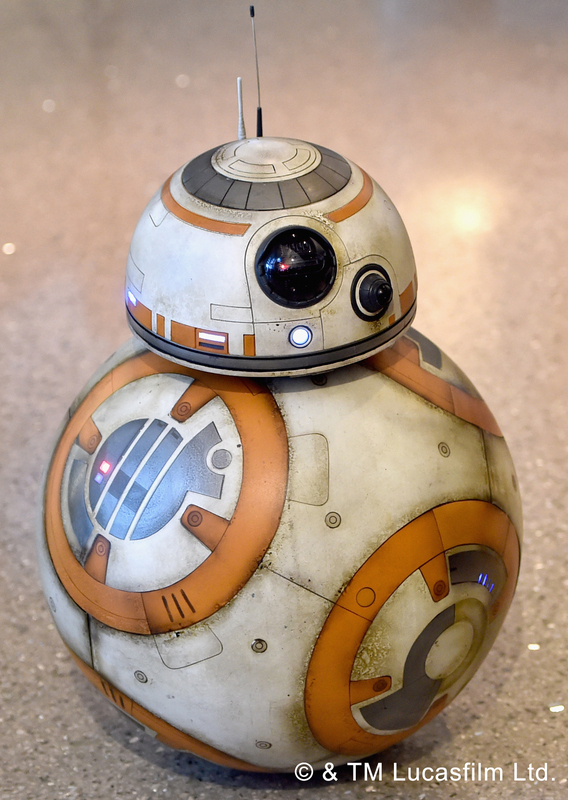 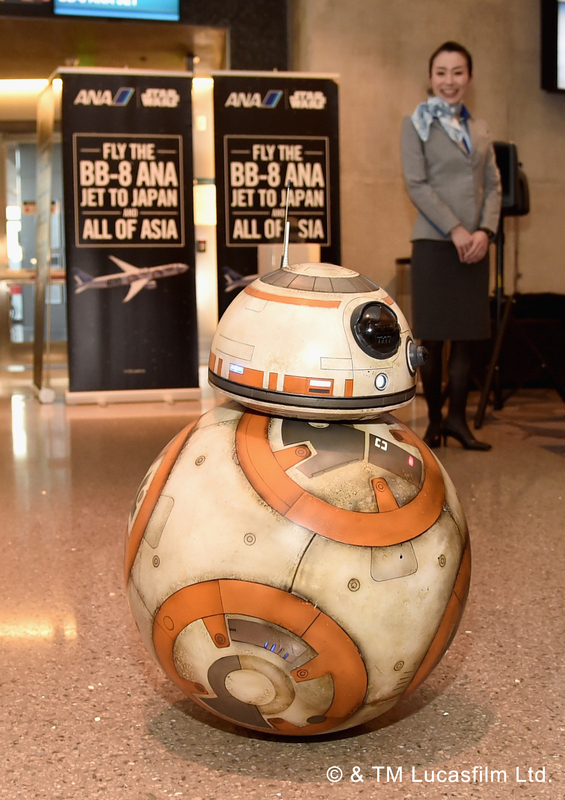 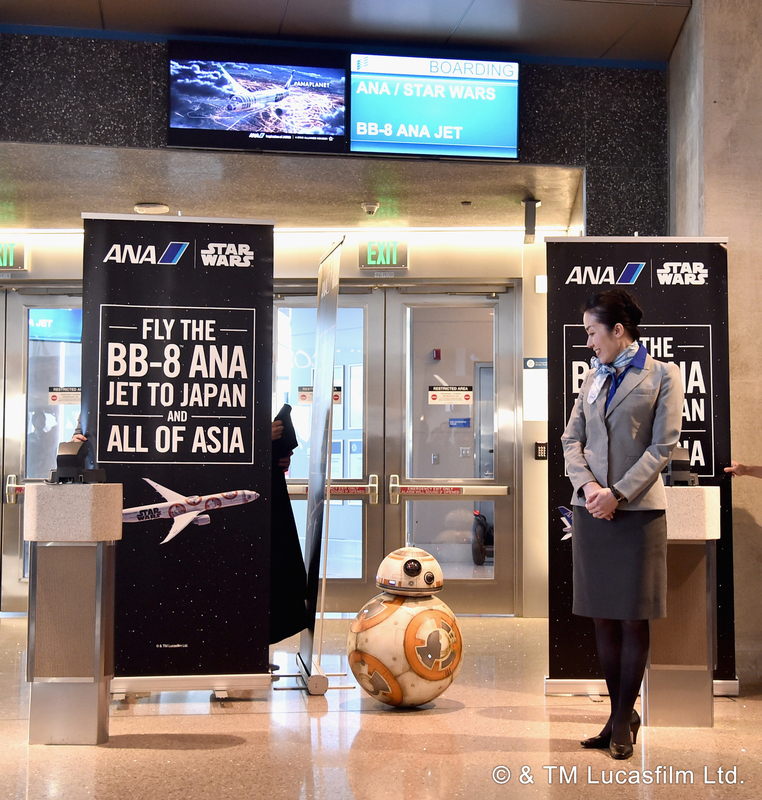 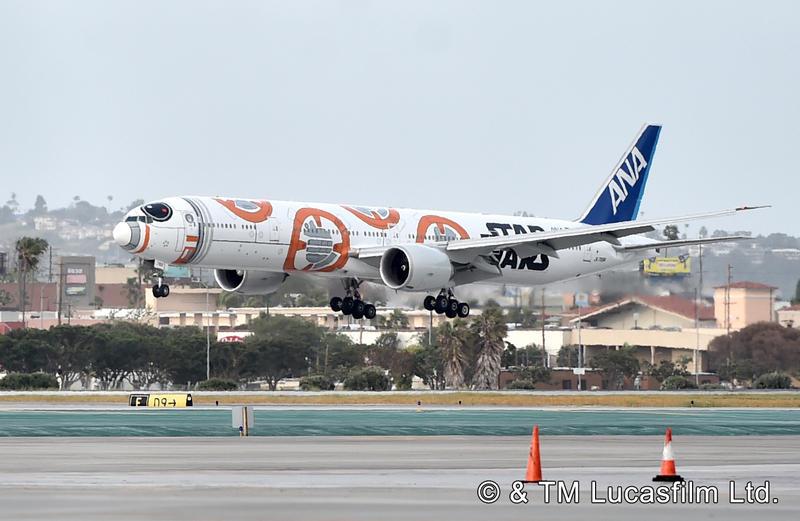 Monday 28th March 2016 marked the arrival of the Star Wars BB-8 ANA Jet in Los Angeles International Airport. 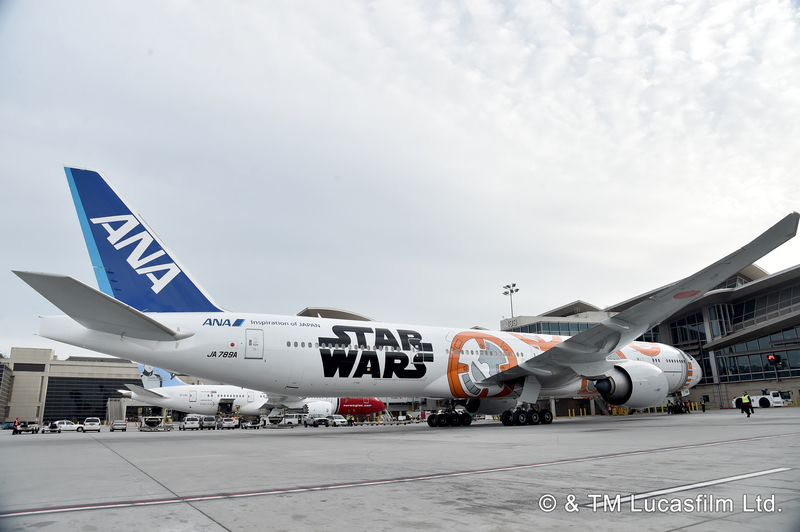 The third and final of the three Star Wars Jets from ANA is a 777, painted in the colours of the newest droid to the Star Wars franchise, BB-8. 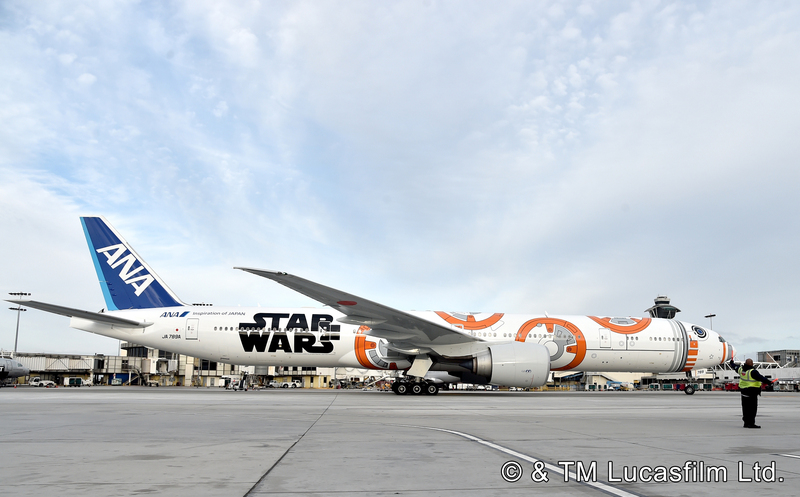 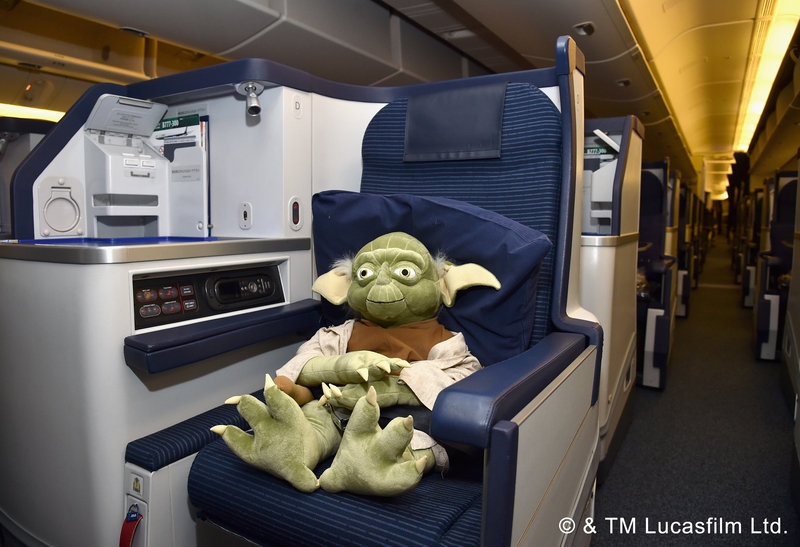 Like the other Star Wars Jets by ANA, the final and largest of the three aircraft also features a specially branded interior as well as the exterior. 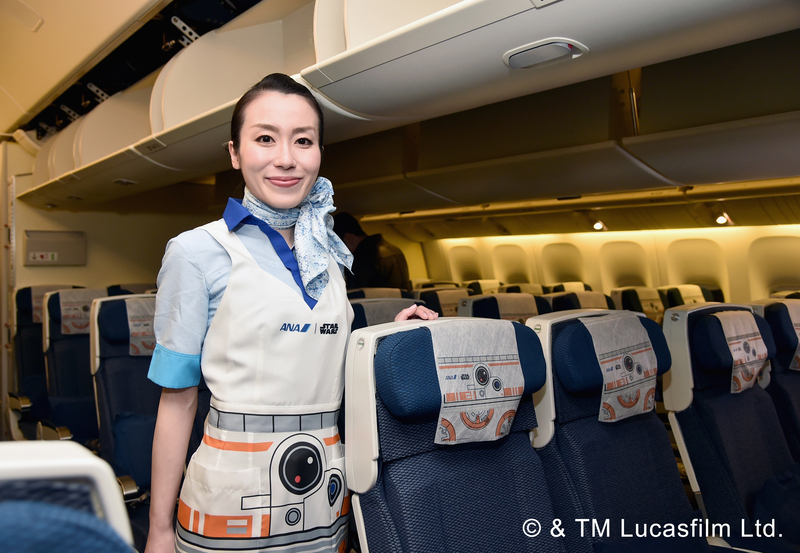 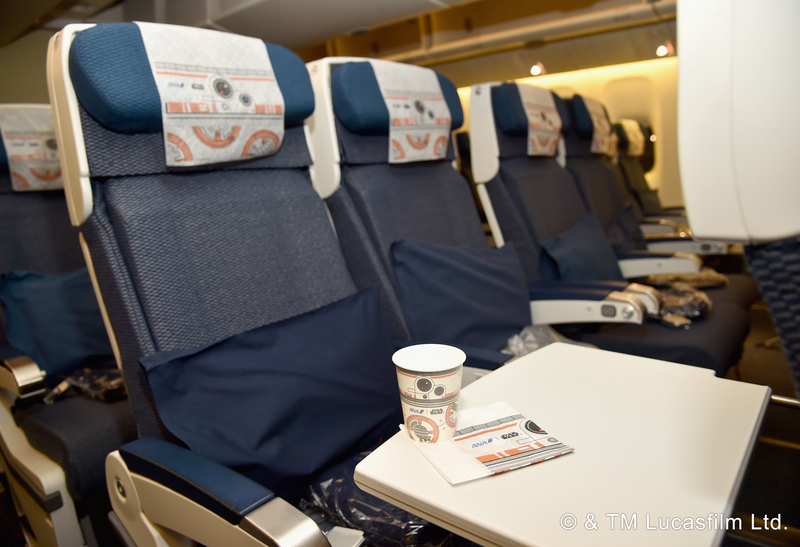 The interior of the BB-8™ ANA Jet features specially-designed BB-8 paper cups and headrest covers, and cabin attendants will wear BB-8 aprons. 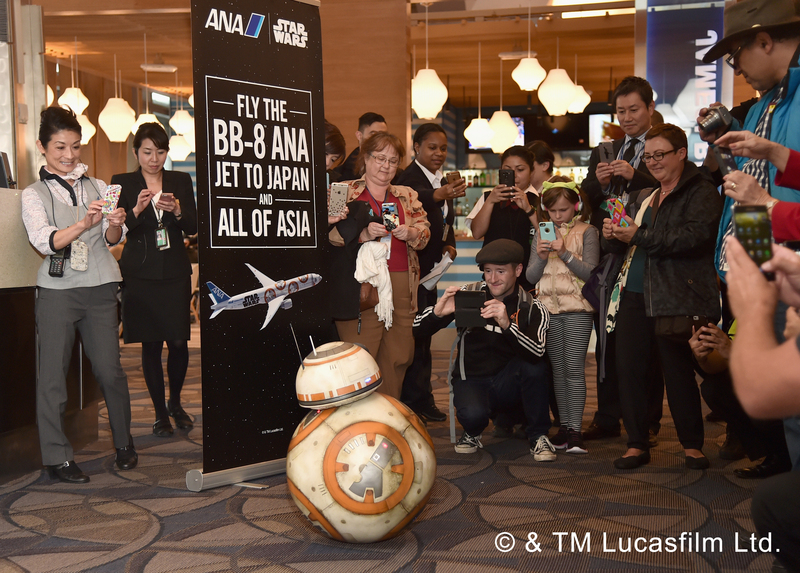 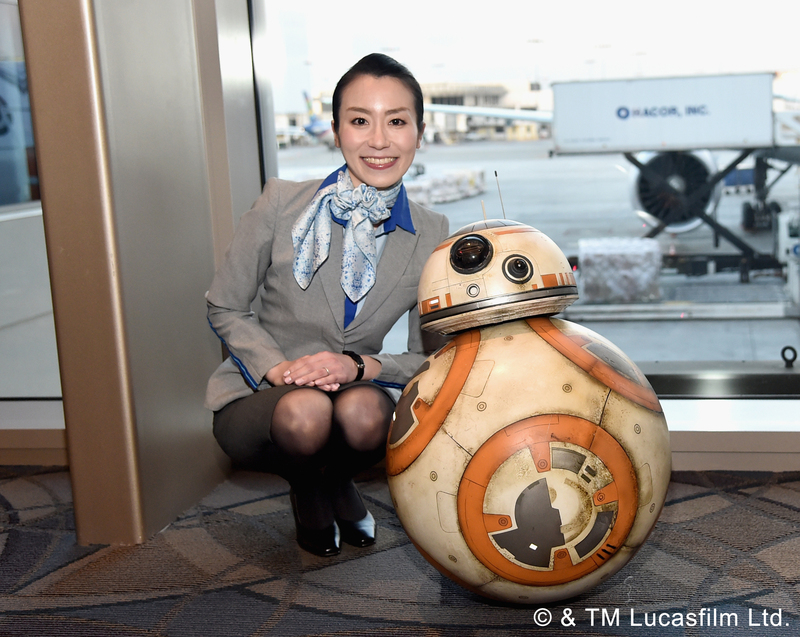 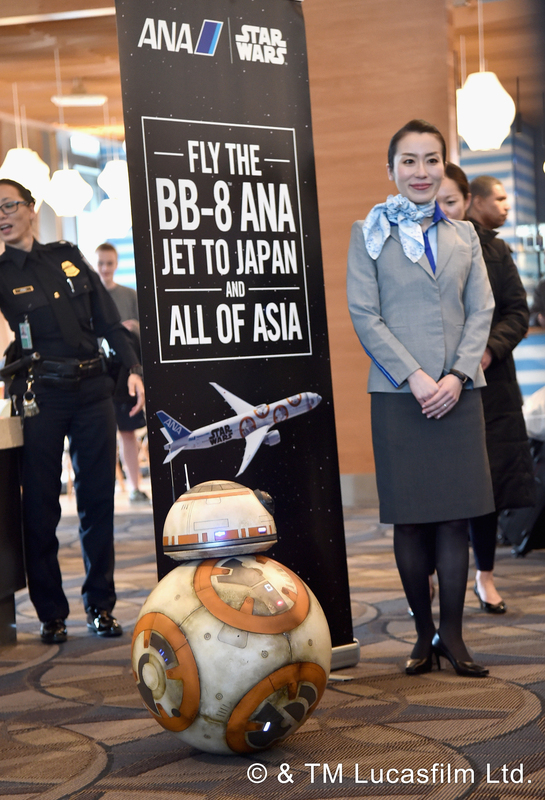 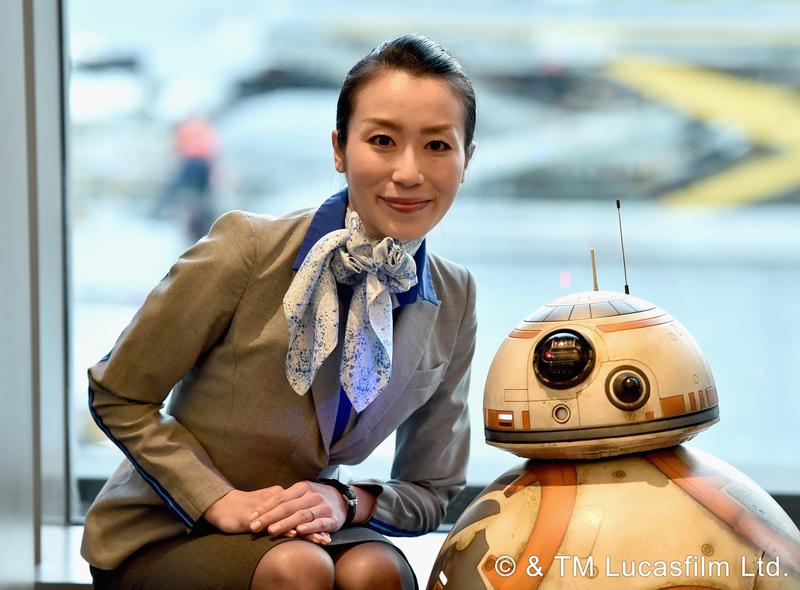 The BB-8™ ANA JET is scheduled to fly various international routes, principally routes linking Tokyo and the US including Los Angeles, New York, Chicago, Washington D.C., and Houston. 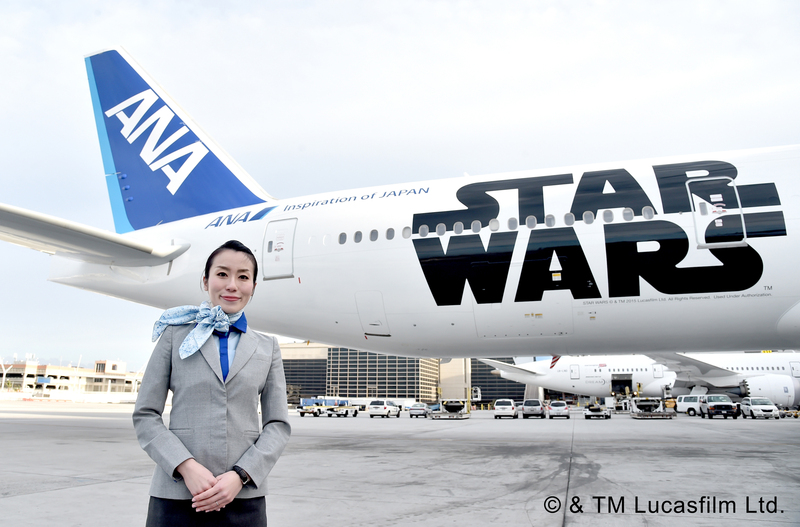 We’ve always loved the ANA Star Wars Jets, and this final one, may not be as instantly recognised as the R2-D2 stalwart, but is equally as impressive, and a rare sight to behold. 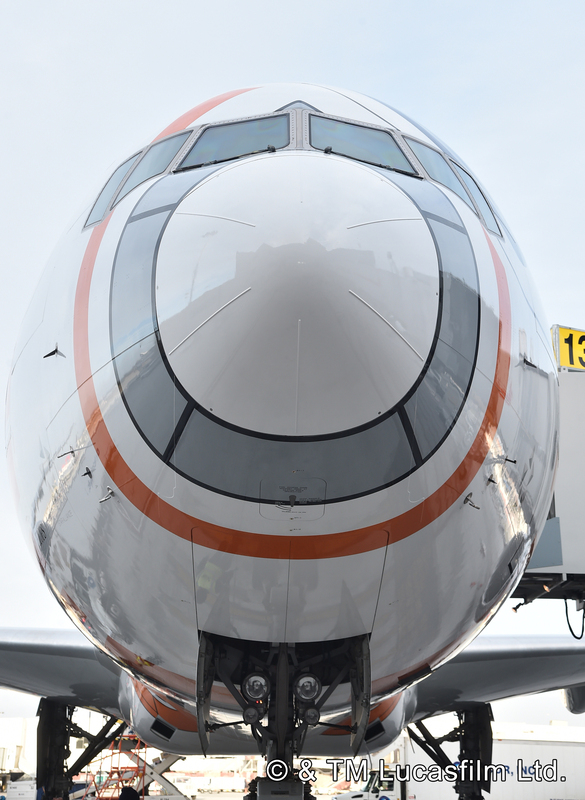 We can’t wait to peek a glimpse at any of the three up close and personal.